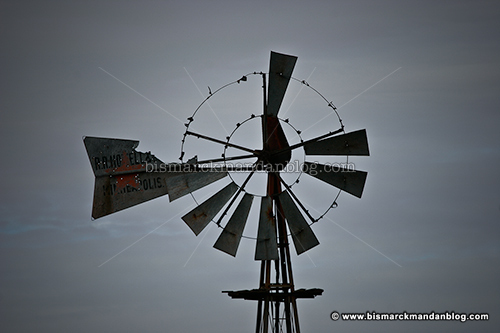 For a while, windmills ad nauseum could have been my motto. Then I backed off for a while. They’re still one of my favorite distinctive features of the North Dakota landscape, far better than oil field equipment. This one has seen better days, but I think that adds to its charm. The overcast day captured the mood nicely.